NOTE – Rahr makes some good beer! I couldn’t resist scraping this froth off (their newsletter) into a post on where you can get your tongue on some of their best work – the Winter Warmer that’s aged in bourbon barrels. It’s elegant. How’s that for a beer word? 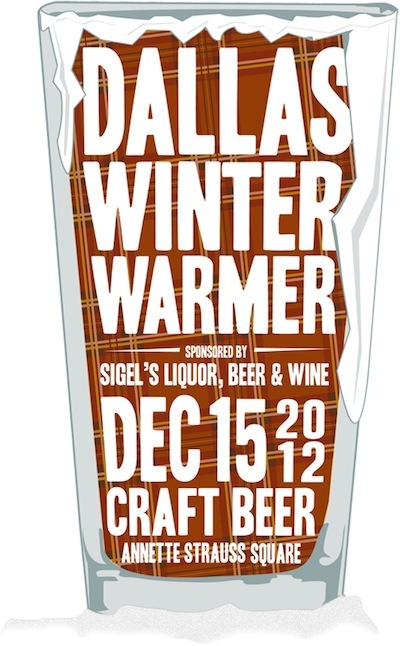 The first ever Dallas Winter Warmer Event is Saturday, December 15th from 12-5 PM. Join us at this winter craft beer tasting event at the AT&T Performing Arts Center in Dallas. Stouts, Porters, Winter Seasonal’s and Barrel Aged Beers… OH MY!!!! Believe it or not, Christmas is almost here and Winter Warmer is almost gone. Before we ring in the New Year with Iron Thistle, come to the Gingerman in Dallas Tuesday, December 18th, 6PM for your last chance to take home a Winter Warmer specialty glass. Quantities are limited so first come first served. In case you didn’t know, a Fort Worth staple, The Pour House (simply referred to east of the Trinity as PhD), has opened a second location in the OC (that’s Oak Cliff people) and to celebrate we will be have a Rahr pint night Thursday, December 20th starting at 6 PM until they run out. I hear Bourbon Barrel Aged Winter Warmer will be on tap! If you find our Dallas sales rep, Mel, she might even buy you a pint…. Maybe, but she’s a bit of a Scrooge. Thursday, December 20th Head on over to Magnolia Motor Lounge for a double dip of Bourbon Barrel Aged Winter Warmer. They will be tapping kegs of 2011 AND 2012 Bourbon Barrel Aged Winter Warmer at 6:00PM! Try them both, compare the differences and just have a plain ‘ol good time! The first 100 people to buy a pour, get a free BBAWW glass! 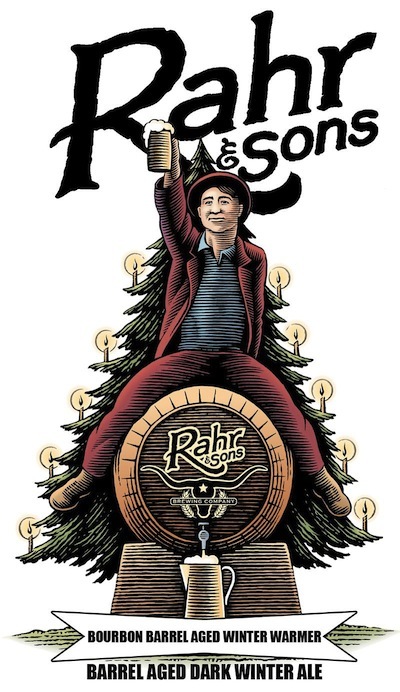 Monday, December 17th Head out to PBK Stem & Stein for a Rahr beer tasting and pint night. Sample several Rahr beer styles and if you buy a beer, you keep the pint glass! Starts at 6:00PM and goes until 8:00PM. Be sure and say hi to our Austin sales rep, Carl while you are there… he’s a pretty OK guy. Wednesday, December 19th Head out to the Flying Saucer in Sugar Land for a Winter Warmer Pint Night… buy the beer, keep the glass! Everything kicks off at 7:00PM. Get there early to get a glass! Friday, December 21st We have TWO Rahr beer tastings at TWO Kroger locations… Montrose and N. Shepherd. Our Houston Sales Rep, Lindsey, will be at the Montrose Kroger location from 12-3 and the N. Shepherd Kroger location from 4-7… stop by, say hi and try a Rahr beer or two.